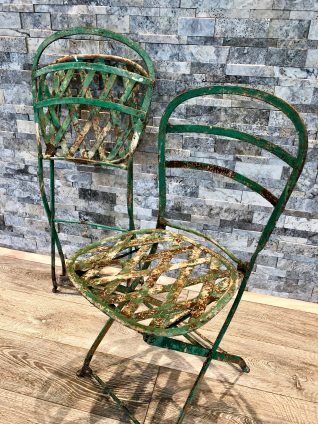 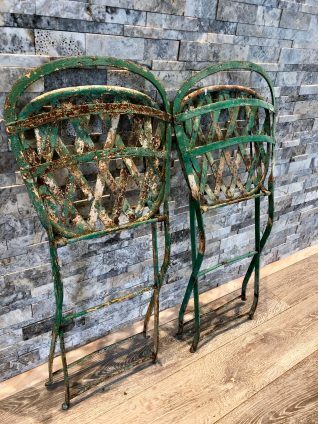 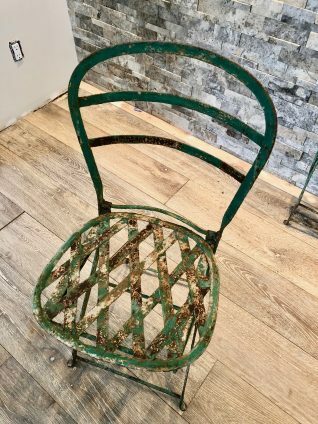 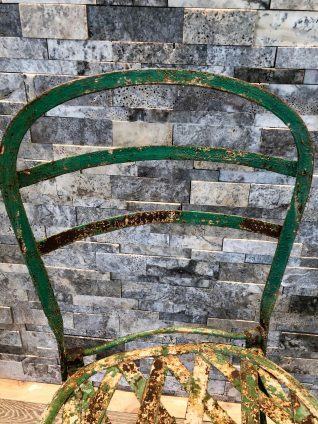 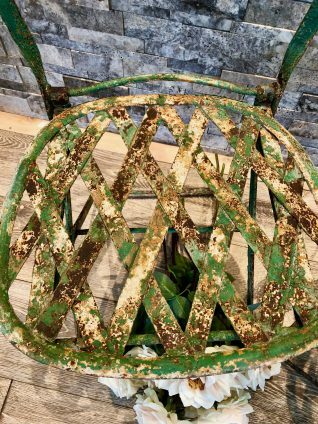 Incredible european folding garden chairs with beautiful rustic and chippy patina. 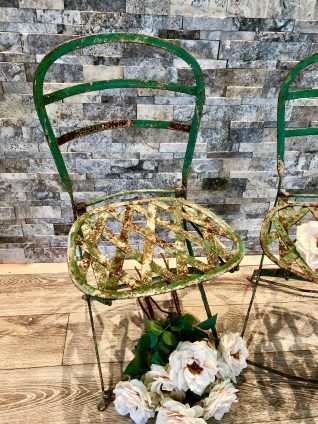 Aged perfectly for a charming antique look on a cobblestone garden deck. 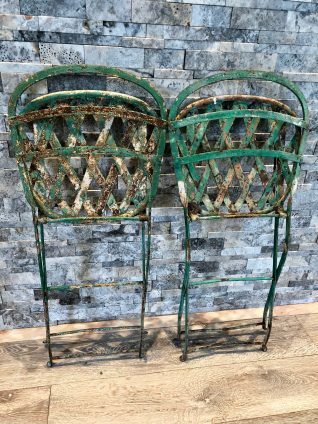 Fold up for quick storage. 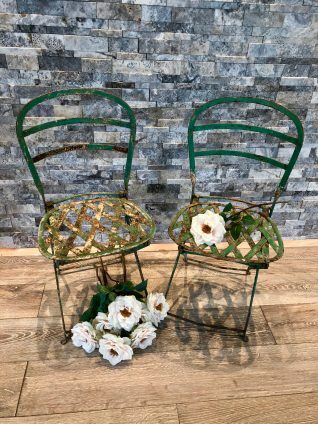 Can you imagine setting up with fresh flowers, linens and croissants to invite your bestie over for a champagne cocktail in the garden? 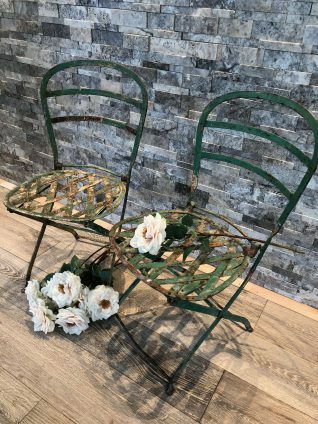 One sold, one still available.